The PLAY (Play and Language for Autistic Youngsters) Project Home Consulting Program provides training and support for families of children with autism right in their home. Trained consultants teach parents techniques that are effective, fun, and useful in day-to-day interactions with their child with autism. By providing training in the home, consultants see the family in an environment where the child feels comfortable, rather than in a setting unfamiliar and possibly intimidating to the child. The PLAY Project was created by Dr. Rick Solomon in Ann Arbor, Michigan. This program is practical application of the DIR/Floortime model of Stanley Greenspan MD, a nationally respected child psychiatrist. The consultants have degrees in child development fields (for example, Speech, Psychology, Social Work, or Special Education) and receive intensive training by Dr. Solomon and his supervisory staff in the DIR/PLAY Project model prior to working with families. The PLAY Project has been piloted with families in sites all over the Midwest and is currently offered by more than 60 agencies, schools, and hospitals located in 22 states. After this training they then make 3-hour visits approximately monthly to families’ homes to teach parents how to provide intensive, one-on-one, play-based services to their young children with autism. Some centers provide 1-hour per week of training instead of longer monthly sessions, but usually the parents will travel to the agency for these alternative schedules. You can receive additional information about the PLAY Project and Home Consulting Programs in your community by visiting the PLAY Project website at playproject.org. Parents spend more time with their children than all of their teachers and therapist combined. By training parents to be their child’s best PLAY partner, the child receives intensive, high quality intervention. We recommend that parents and other caregivers, once trained by our Home Consultant, apply themselves for 2 hours per day PLAYing with their child (this can usually be done in multiple 20-minute sessions). This can be a very enjoyable time with your child. Our Consultants show you practical ways of making every interaction with your child a growing and learning experience. Bath-time, meals, outdoor play: each of these daily routines can be used to help your child build meaningful relationships. Home visits allow the Consultant to see your child in the place where he/she is most comfortable, so the consultant can see how he/she acts most naturally. The Home Consultant will video tape segments of the home visits, to monitor your child’s progress and vie suggestions for more effective techniques. This allows the Home Consultant and your family to design and implement an individual PLAY Skill Sequence for your child. The PLAY Project DVD is the best introduction to the PLAY Skill Sequence (available for purchase on the PLAY Project website). We recommend that families view the DVD as a first step in beginning the PLAY Project. 3-hour sessions roughly divided between 1 hour of modeling, 1 hour of coaching the family and 1 hour of feedback. Periodic surveys to assess family satisfaction with consulting services. Documentation of progress using a combination of family information, various questionnaires/ assessments and video rating scales. Resources for families-handouts and referrals to other types of comprehensive therapies (Speech & Language, Occupational Therapy, etc.) if needed. The first visit provides an opportunity for the Home Consultant and your child and family to begin to get to know each other. The Home Consultant can explain some of the basic elements of what will occur during the home visits. Background information is collected to ascertain current services that the child is receiving, and to establish baseline for autistic behaviors and level of cognitive, language, adaptive, social and sensory functioning for your child. These assessment and intake forms can occupy 1.5 to 2.5 hours of the first visit. If you have not attended a Level 1 seminar or reviewed the PLAY Project DVD, you will be given an overview of the presentation (approximately 1 hour). After the completion of the assessments, you will be asked to play with your child as you usually do. Your Home Consultant will videotape a 15- or 20-minute segment of you playing with your child. During this time, you just play how you would normally play with your child. You will not be given any instructions during this segment of play. The purpose of this exercise is to get an idea of how you naturally play with your child. If there is time after the assessment and filming, your PLAY Consultant will play with your child and model various PLAY techniques. One of the important benefits of the home visits is that your Home Consultant can model techniques with your child’s own toys making it very easy for you to understand how to apply the techniques. After your visit, your PLAY Consultant will send you a copy of the videotape taken at the time of this visit along with an assessment and supplemental handouts that might be helpful. Your second and subsequent home visits will follow the guidelines described above, i.e., 3-hour sessions with videotaping. Home visits allow the Consultant to see your child in the place where he/she is most comfortable, so the Consultant can see how he/she acts most naturally. The Home Consultant will coach parents on how to PLAY more effectively with your child with autism. This type of PLAY assists the child to work through the core deficits of autism. The Consultant will also videotape segments of the home visits in order to monitor your child’s progress and give suggestions for more effective techniques, followed by audio and written feedback reports. Since the parents provide most of the hours of intensive intervention, the PLAY Project can be offered at a cost that is affordable for many families and County Boards of Developmental Disabilities. For more information on pricing, please contact us. Dr. Solomon has evaluated 68 children, each enrolled for 8-12 months of intervention in The PLAY Project at the University of Michigan. The results showed that 47% of the children made good to very good progress (increasing 1 to 1.5 functional developmental levels during the study) and 32% made fair progress. The research paper has been published in May 2007 by the peer-reviewed British journal, Autism. A copy is available upon request. 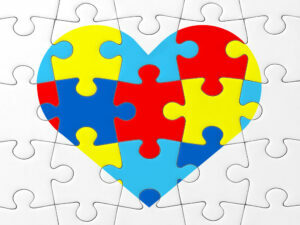 Research evidence shows that children with autism spectrum disorders do best when they receive intensive intervention. There are two basic types: behavioral, such as Applied Behavioral Analysis (ABA), and developmental, such as The PLAY Project. In general terms, we believe that younger children initially benefit most from PLAY, which provides the opportunity for them to develop joyful and engaging relationships and communication with their parents and peers. Once the child has reached a level of social and language development, then we recommend adding ABA to strengthen skills and get ready for school. These approaches are complementary and many children can benefit from receiving both. Have more questions about the PLAY project and how it could work for your child? Contact us today and we’ll be happy to answer your questions.